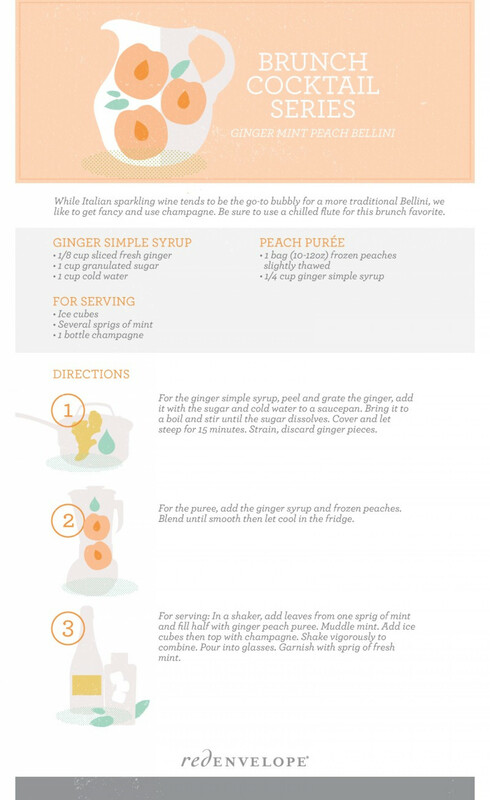 Check out this great visual recipe a Ginger Mint Peach Bellini that’s perfect as a brunch cocktail created by Red Envelope. They’ve created a series of Brunch cocktails, including Rosemary Sloe Gin Fizz and one they’re calling the The Ultimate Bloody Mary. You can see the full recipe for the Bellini below which replaces the usual sparkling wine with champagne. The nice thing about the recipes is that they offer instructions on how to make your own homemade syrups.